A manageable lifestyle with more time for relaxation and enjoying the things you choose to do. You’ll find this and more when you reside in a 55-plus community designed by Pulte Homes where you and your like-minded neighbors can enjoy new friendships and participating in the good things in life. Condominium Low-rise living in various communities in Eastern Massachusetts affords you the opportunity to right-size your life and leave some of your cares behind while you focus more time on the things you want to enjoy. You’ll have more time for recreation, fun, and fellowship with your neighbors where you’re free from the demands of everyday maintenance. Pulte Homes can help you find the home that suits your individual tastes, interests, and lifestyle. You can select from a wide range of manageable communities, all low-maintenance and featuring sophisticated homes amidst gorgeous environments with a wealth of nearby amenities. “All of our communities are in very appealing and unique locations in Eastern Massachusetts, and that is what sets us apart,” says Suzanne McGrath, General Sales Manager of Pulte Homes New England. Riverside Woods is an active-adult, 62-plus community of low-maintenance condominiums and 14 detached single family homes located in the prestigious suburb of Andover, Massachusetts. Condominium floor plans range from 956-square-feet to 1,469-square-feet; single family homes begin at 2,100-square-feet. 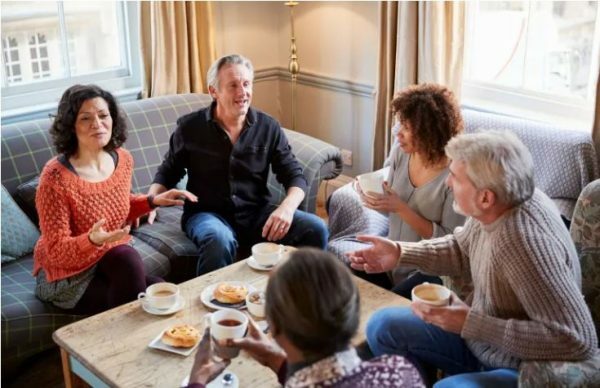 Pennington Crossing is a new active-adult, 55-plus community single-level, low-maintenance condominiums in the classic New England town of Walpole, with spacious floor plans, with one-and-two-bedroom designs ranging from 934-square-feet to 1,720-square-feet. 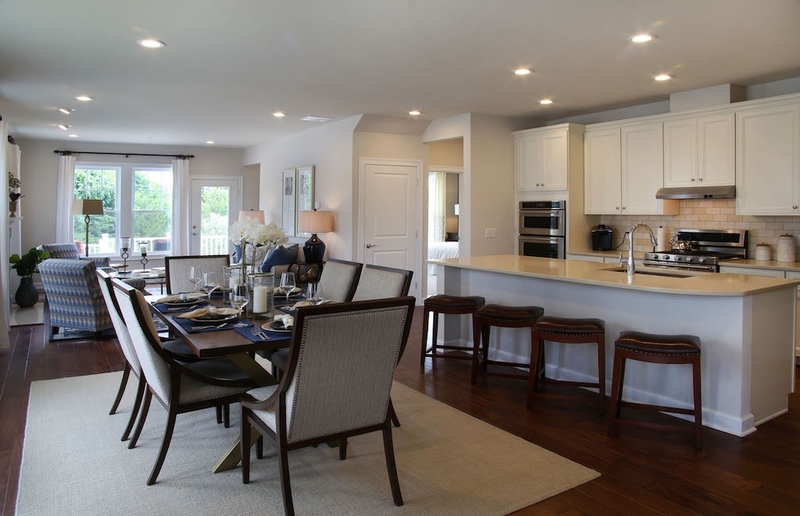 The homes are beautifully detailed with elegant interior appointments, contemporary kitchens, and designer finishes. The community is ideally located within walking distance to the vibrant Walpole Center, and less than 20 minutes from Boston. Martin’s Landing is an active-adult, 55-plus community of single-level low maintenance condominiums in North Reading, Massachusetts with seven, one- and two-bedroom floor plans ranging from 956-square-feet to 1,469-square-feet. The community borders a natural environment of conservation land and features a Clubhouse with multiple activities. The community is perfectly sited within easy access to a lovely town center and just 20 miles from Boston. Prices start in the mid $300,000’s. Upton Ridge is a new active-adult, 55-plus community of 139 townhomes in Upton, Massachusetts with three floor plans ranging from 1,510-square-feet to 2,418-square-feet. The homes feature a two car garage, a wood deck, and the option to finish the basement. This bucolic community is located adjacent to the State Forest and Shining Rock Golf Club, a public course, that provides the homes with incredible views and the peacefulness of the natural environment, yet has convenient highway access to Worcester. Prices start in the upper $300,000’s. 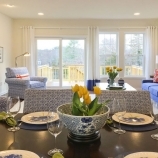 Brooksmont is a 55-plus community of 66 attached, two bedroom townhomes in Holliston, Massachusetts, a typical charming New England-style town, close to Framingham and Natick. One- and two-story floor plans, ranging from 1,510-square-feet to 2,418-square-feet, will have a main level owner’s suite, an upper level loft, a full basement, a wood deck, and a two car garage. Once completed, the picturesque, 20-acre community will have a pretty white gazebo that will surely become the neighborhood gathering space, in addition to a community garden. Prices start in the high $400,000’s. PulteGroup has been providing the American Dream of homeownership to families for almost 70 years. What started as a single home built and sold by the entrepreneurial spirit of an 18-year-old Bill Pulte has grown into one of the country’s largest homebuilding companies. PulteGroup sells under many of the industry’s most recognized brand names and serves customers as they move through all phases of their lives. The company operates in approximately 50 of the leading housing markets throughout the country. For more information, please call (888)817-2204, or visit their website at: www.pulte.com.